The Gretsch Catalina Club Rock blends a classic rock and roll configuration and sound with sleek, contemporary hardware innovations. 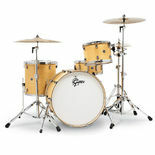 Catalina Club 4-piece configurations are built upon 14″ deep bass drums for vintage, punchy and warm tones. New hardware components are showcased on this series and give a distinctive “new Gretsch” flair that pays homage to the Gretsch tradition while projecting a progressive personality. The mounting hardware includes round “gas cap” bass drum mount plate, ultra low profile GTS mounting system, reduced-mass tom mount brackets and new single and double tom holders. Both tom holders include a post hole for a 7/8″ cymbal tube post (not included). The ball/socket 12.7mm L-arms provide positioning freedom and a secure hold for stability. 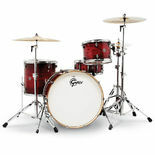 Gretsch T-Wing screws and bolts are included on all fittings for drummer friendly feel. To complete the balanced design aesthetic, a new black/silver Catalina Club round badge is included on all drums. 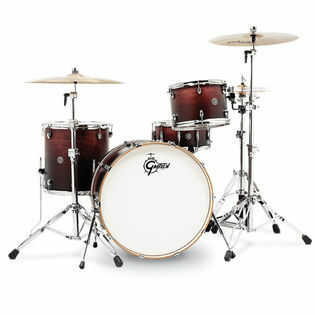 Proven and time-tested Catalina Club drum specifications represent a commitment to the continued “Great Gretsch Sound.” Mahogany shells include 30-degree bearing edges and natural shell interiors. Bass drums include telescopic bass drum spurs and matching wood bass drum hoops. Toms/snare feature 1.6mm triple flanged hoops. 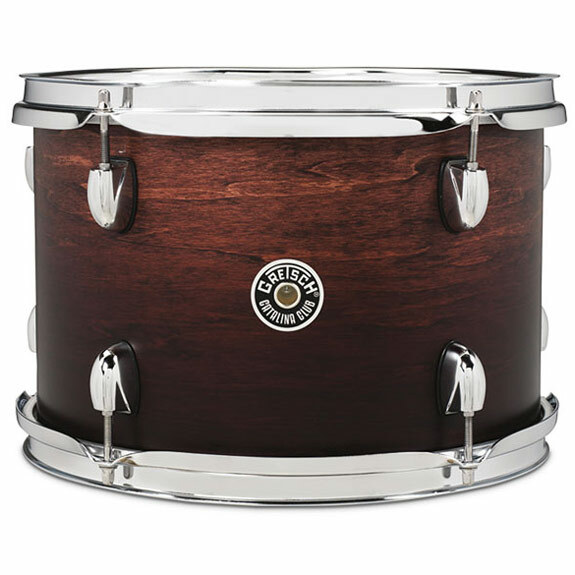 All drums are fitted with Remo drum heads, including coated batters and clear resonant on toms/snare and clear bass drum batter head with muffle ring. The white Gretsch bass drum logo head includes muffle ring. Add-on drums are available.